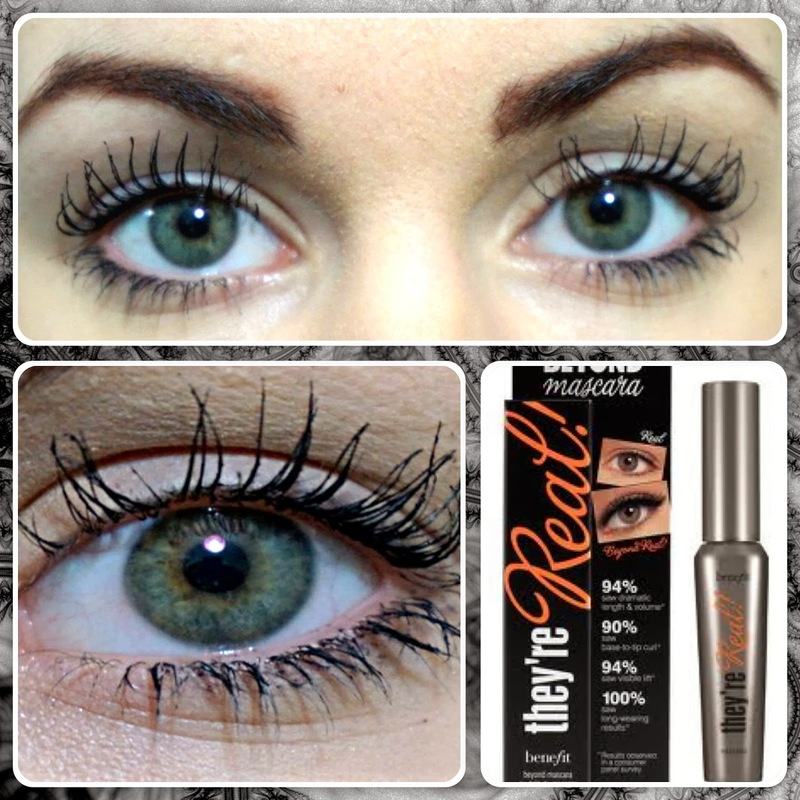 One of my Christmas presents this year was They're Real mascara by Benefit! As someone who feels naked without their mascara on this was a very welcome addition to my makeup bag! 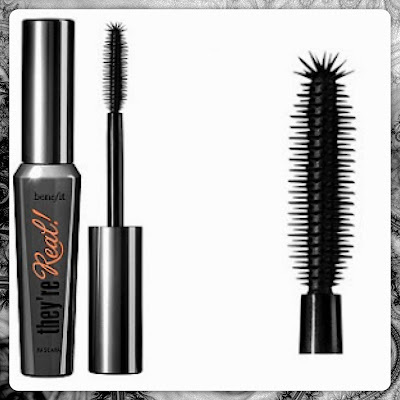 As you can see, above, Benefit themselves make a very big promise with this mascara - that it'll leave you with false looking lashes - yay! Now, I have very long lashes anyways, and am always being asked if they're fake, so I was very interested to see what this does that my usual cheapo mascara doesn't. 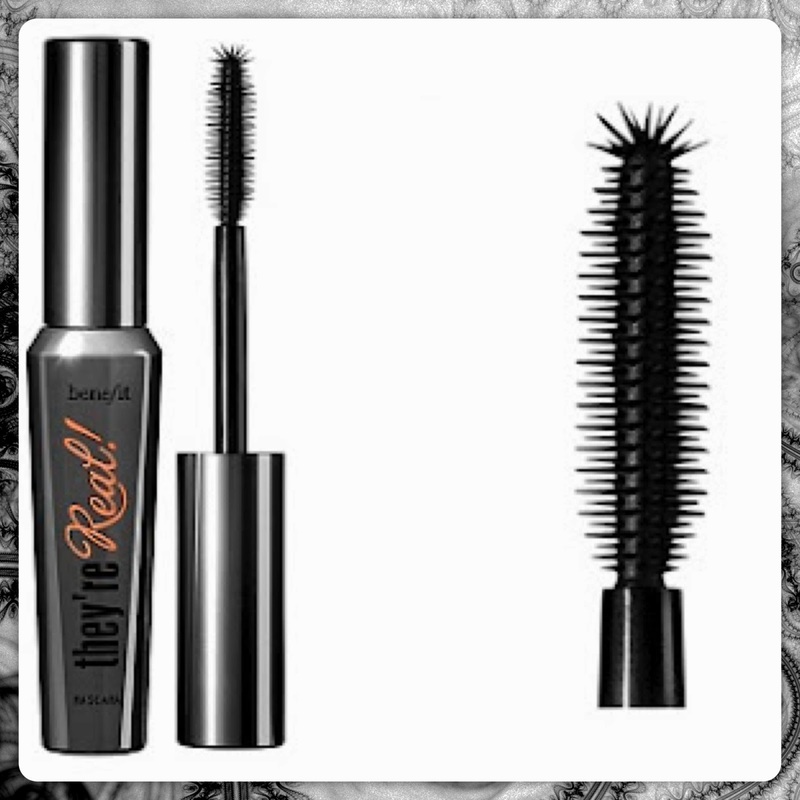 Honestly, I like it, I don't love it :( Because my eyelashes are quite long naturally, but not very thick, any clumps or spider legs are very very obvious - something this mascara borders on giving. 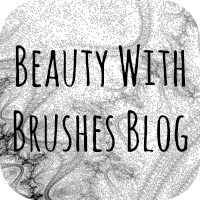 "Position wand horizontally & wiggle brush from side to side, base to tip, to achieve maximum volume, length & lift. Hold wand vertically & stroke upward to curl & separate. Layer generously as desired." I haven't bothered with the vertical step in the above pics - perhaps that is my downfall! 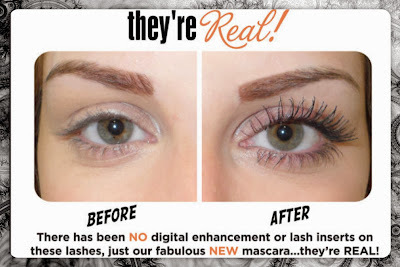 I would probably still buy They're Real again - it is a really great mascara however I don't think it lives up to its very large promises! 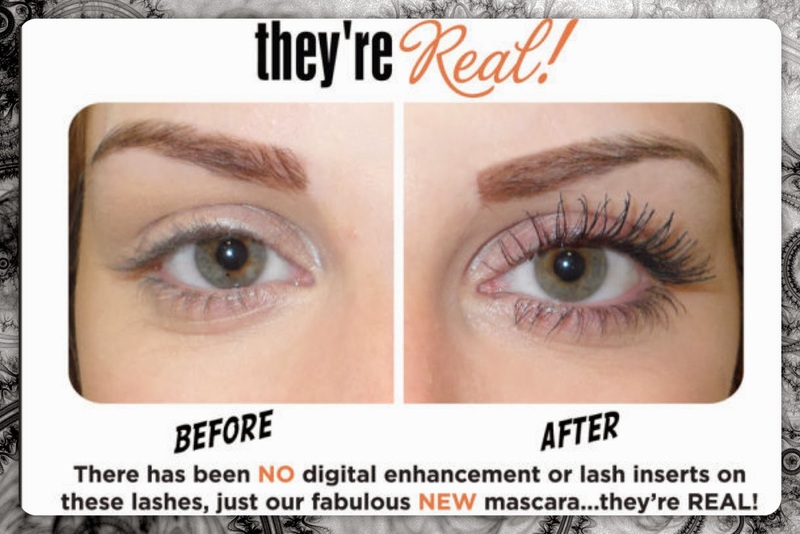 Do you have They're Real mascara?